Do you love retro arcade games? Well, you are going to love the choices that we have at Arcade Direct! We have a collection of classic arcade machines that are going to bring the fun to any party or event. This includes the fantastic Space Invaders, which has been a favourite with gamers since it was released back in 1978! This is one of the earliest shooting games that you will find and it is still a hit today with all ages. 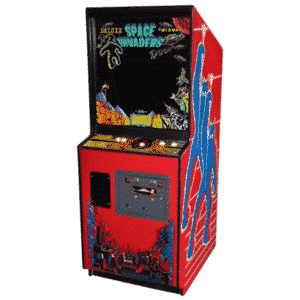 So, why not hire the Spacer Invaders arcade game for your next special event? You can even purchase this beauty and take it home with you afterwards. 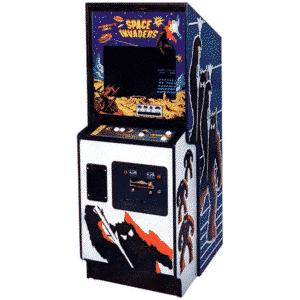 So, check out our range of Space Invaders arcade games today! Space Invaders is a fantastic Japanese arcade game that allows you to shoot at waves of aliens with a laser, with the object of the game to defeat them and earn as many points as you can. This brilliant game was created as one of the golden age of arcade video games and it is even one of the best-selling video games of its time. In fact, it is still as popular today as it was then with people wanting to relive their childhood, as well as younger gamers who appreciate retro games. Space Invaders even inspired a lot of the modern shooting games that you see today and it has had several sequels. As the main player, you take control of the laser cannon, moving horizontally across the screen to fire at the rows of aliens. Of course, as you keep progressing, each wave gets more and more difficult and will speed up to make your game harder. Make sure you don’t get hit by any blasts! So, do you have what it takes to beat the high score? 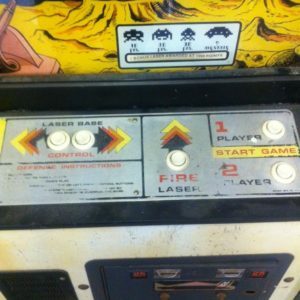 Well, you can now find out by hiring the Original Space Invaders Arcade Machine. This game sure is addictive and you will find that you just can’t stop playing. You can challenge your friends to beat your high score and see if they can beat the enemy. Of course, this is an original machine in all of its glory, which means that it is authentic and just how it was meant to be. It has been refurbished before so that you can hire or purchase this machine with peace of mind. In addition, it has been PC converted for reliability. 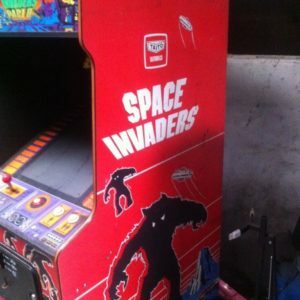 In addition, we also have the Original Red Space Invaders Arcade Machine for you to enjoy at events and even in your home. This was released in 1980 and this is the sequel to the original Space Invaders. Again, you must use your laser to defeat the waves of aliens, as well as shoot the flying saucers for extra points to add to your top score. Of course, this Space Invaders game also has a red design that everyone loves and it is sure to stand out from the crowd at your chosen venue. Guests will be queuing up to play this classic! This is an original machine that has been refurbished for your enjoyment. For special occasions, why not check out the Pixels Party Package that we have on offer? This is perfect for large gatherings since you can choose three classic arcade machines in honour of the Pixels movie by Sony Entertainment. 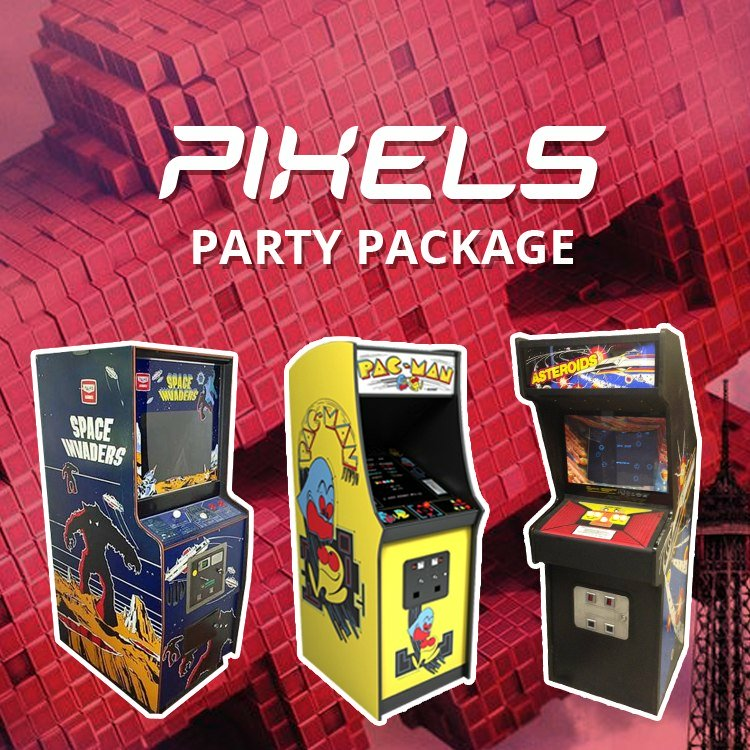 You can select Space Invaders, Original Pac-Man, Galaxian, Defender and Asteroids, as well as enjoy free delivery and installation for your event. So, what are you waiting for? 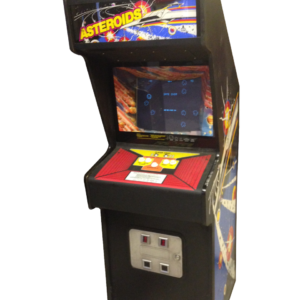 We have an amazing collection of Space Invaders arcade games at Arcade Direct that are just waiting to be played!